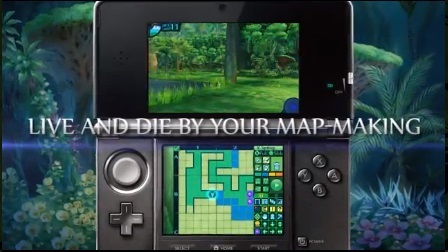 Etrian Odyssey IV is not a friendly game. It is dense, difficult, and doesn’t hold your hand or hang an arrow over your head pointing you in the right direction. It has all the character customization and granularity of a game like Diablo II, World of Warcraft, or tabletop roleplaying games like Dungeons and Dragons, but instead of giving you detailed stats or a 400 page player’s handbook, it tells you that investing another skill point in electric link will raise your damage by one “up arrow”. Occasionally it tells you that investing that extra skill point gives you two “up arrows”. Also, you’re managing five characters instead of one. 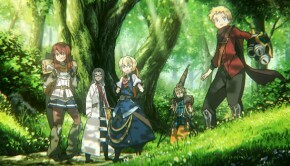 Etrian Odyssey IV is pretty rad. The dungeons and FOEs (bosses) look great on the 3DS. 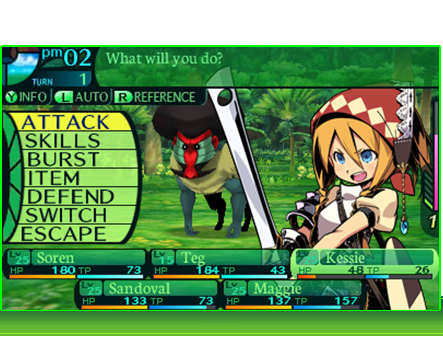 Etrian Odyssey IV is a classic JRPG dungeon crawler with turn based combat, full party customization, skill trees, crafting, and the series’ hallmark cartography which occupies the touch screen on the 3DS. The majority of the game is played from a kind of a Eye of the Beholder first person perspective while your party is in the labyrinth, and this time around there is an air-ship for exploring the overworld map in a very similar fashion. For as stodgy and old fashioned as this all sounds, the game is remarkably streamlined. The turn based combat is extremely fast, and you transition in and out of it so quickly that grinding never feels tedious. Loot is easy to sell and organize, and the blacksmith keeps track of all the materials you’ve gathered so you never have to rummage through a bunch of menus to see if you’ve got the requisite baboon bones to make that mace you’re craving. The game even automatically maps the spaces you walk over on your map grid, though you’ll still need to mark walls, obstacles, points of interest, gathering spots, and hidden shortcuts by hand. Combat is quick and strategic, with no time wasted on superfluous animations. 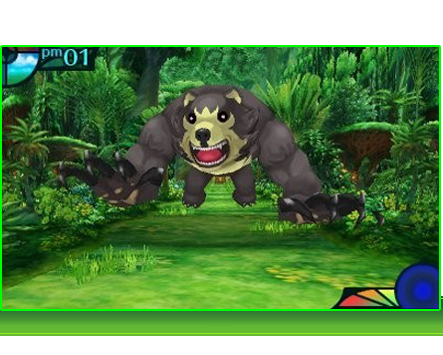 It’s a lean game, heavy on content, and completely devoid of superfluous attack animations, cutscenes, and mini-games that plague the JRPG genre. This game is all about exploring dungeons, collecting loot, and customizing your adventuring guild. 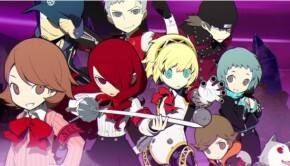 The customization runs pretty deep, with 10 classes available to each of your five party members, and the ability to add any one other class as a sub-class, there is a vast number of combinations and possible party compositions. 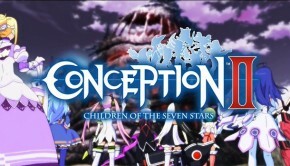 This game is a min-maxer’s dream, so look no further if you enjoy optimizing characters in RPGs and playing around with team synergies. The laser focus on dungeon crawling can make it feel like a one note song at times, but the deliberate pacing ensures you’re never bored or floundering. I’m constantly impressed by just how well balanced the difficulty in this game is. It’s challenging for sure, with some especially brutal bosses, but I feel as though my party is always the right level with minimal grinding. 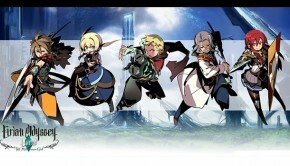 Etrian Odyssey IV is a great game that has one foot rooted firmly in the conventions of the past while the other stretches out towards the streamlined convenience of the future. Lesser games have tried to maintain this stance and wound up unbalanced, or come off as pandering to nostalgic gamers. It automates just enough to keep from being tedious without sacrificing any challenge. 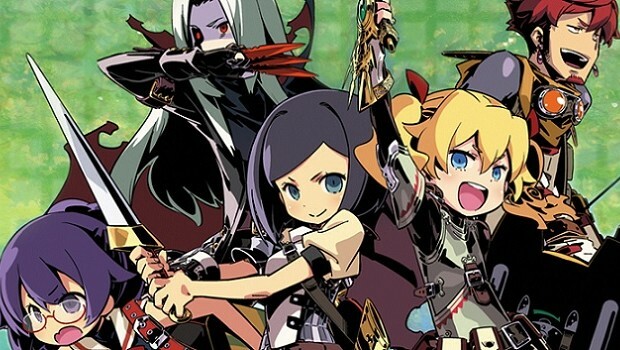 Fans of traditional RPGs might find the almost non-existent story to be a little too light for their tastes, but for those who place gameplay first and lament the oversimplification of the genre, Etrian Odyssey IV is a fine choice.